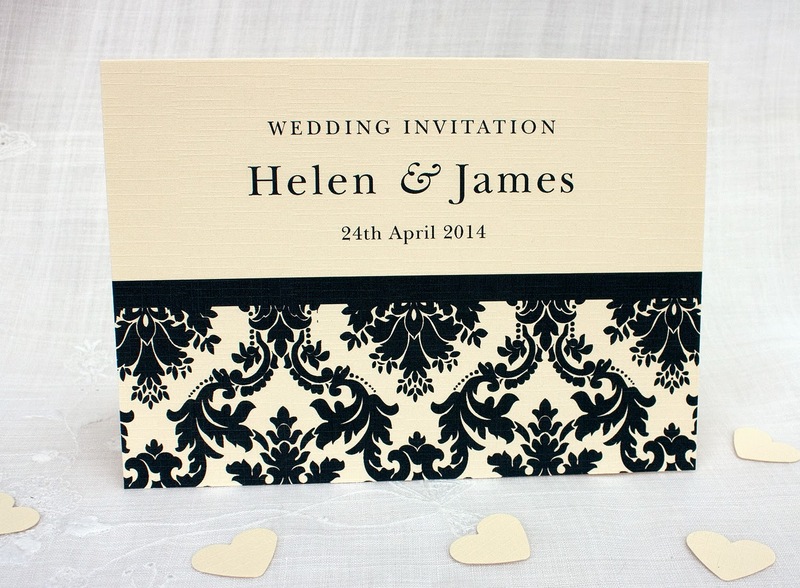 Printed on folded, linen effect, ivory card, this design incorporates a Victorian style flock pattern and traditional serif text. 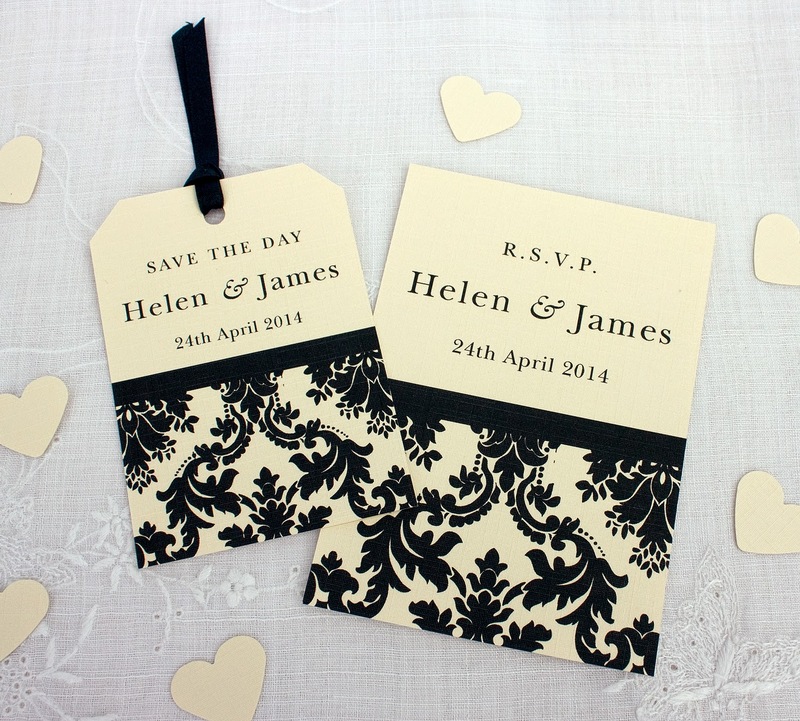 The text is kept to a minimum on the front of the card, with the rest of the information printed onto a paper insert. 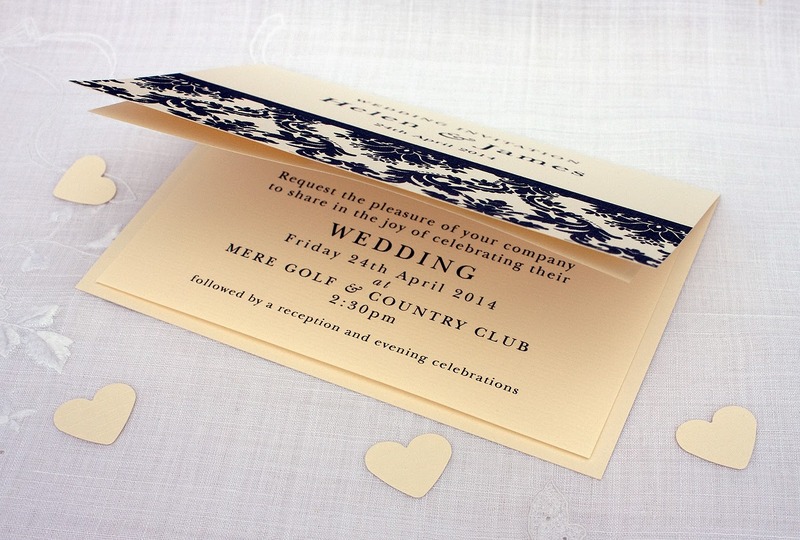 The overall feel to this invitation is one of traditional sophistication and simple elegance.